Well as you may know from an earlier post, things did not go according to plan. Do they ever? However, I do have a completed garment (and still have hopes for another before the month is out). So here it is..
What should have been a quick, simple make turned much more complicated due to my own stupidity. This simple top was inspired by this tutorial. I intended doing this right with either French or flat felled seams and everything. 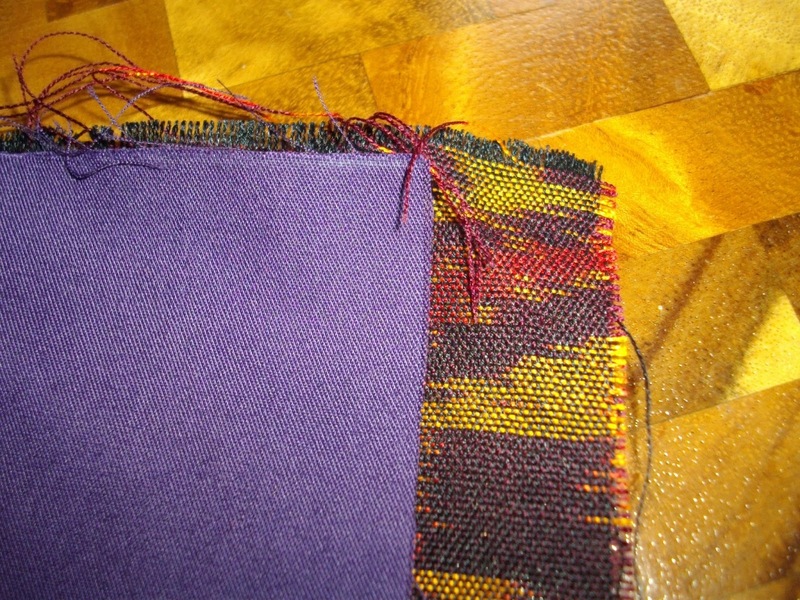 I started off well enough, I increased the measurements to allow for a woven fabric rather than a knit. And then I forgot to add seam allowances!!!! So a bit of trickery was called for. I sewed the shoulders using the absolutely smallest seam allowance I could manage and then I used bias binding (where would we be without it?) to enclose the raw edges in a kind of imitation flat felled seam. That’s what you can see here in the shoulder seams. Don’t worry the puckering pressed right out. So far so good, although this fabric ‘grew’ at a startling rate. This is how much longer it was having only sewn the shoulder seams (and yes, I did check against the pattern and they were both cut the same length). And as you can see it also frayed like you wouldn’t believe. So that first fix was fine for the shoulder seams but was not going to give me enough extra room for a comfortable fit around the waist and hips. So I added godets extra bits of fabric. Basically I just worked out how much more room I needed and then tapered it to nothing at the underarm. I don’t actually have a pic which shows it clearly but you can just see it here. Again I realise it all looks a little puckered under the arm but that is because I am standing awkwardly. So I did manage to save what could have been a disaster, which I am pleased with, but it would have been so much simpler to have just not fucked it up to begin with. And yes the neckline did stretch out because of course I forgot to staystitch it. But I can live with it. I know I am going to be making more garments with similar fabric just because I love it. It is woven by members of a hilltribe community near the Burmese border. I bought this in Mae Sariang a few years ago and had a jacket made from it (by a tailor) and this was the leftover remnant. Photos don’t do it justice as the colours are very rich and change according to the light. 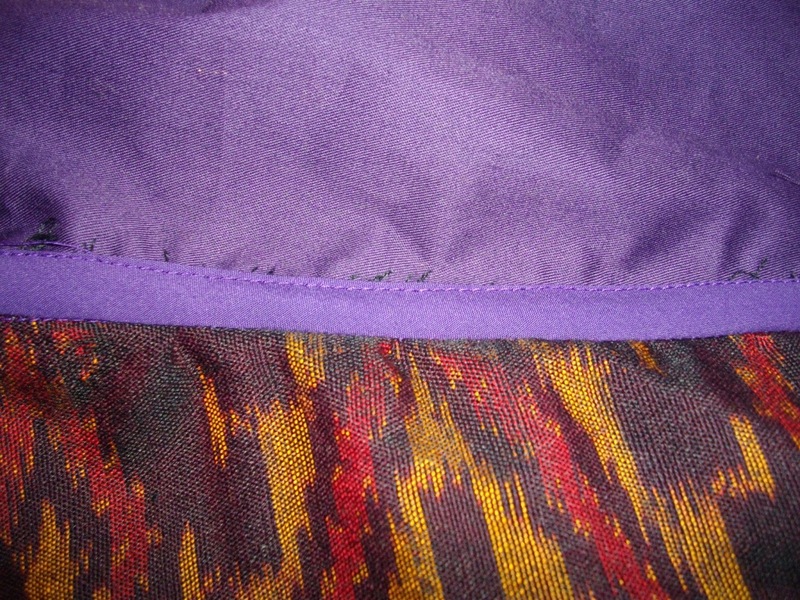 Oh and I just used a cheap cotton for the back in purple because (although you can’t really tell here) the darkest colour in the print fabric is actually a very dark purple, not black. I have worn this already and it is really comfortable so I’ll count that as a win. How are you going with your Make a Garment a Month garment? 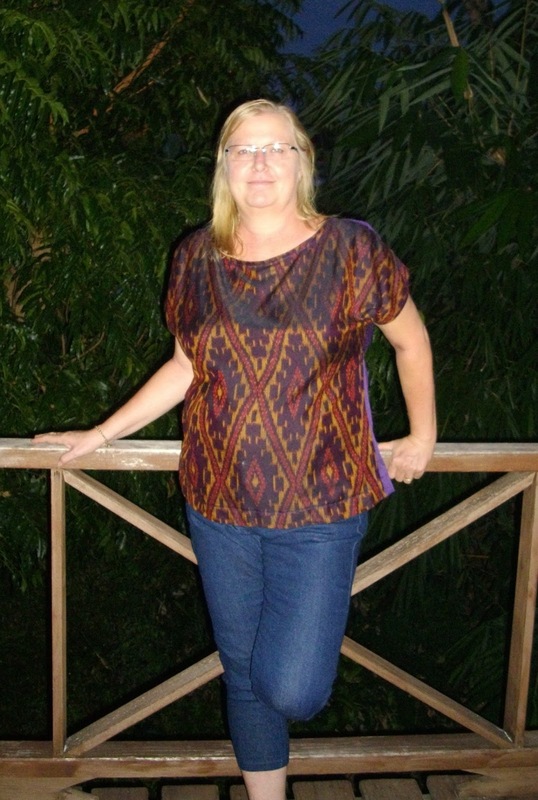 Lovely top- the fabric is really beautiful, and I love how you twinned it with the purple. I really should remember more often that it's ok (indeed more than ok) to mix fabrics! Thanks Bea. I often mix fabric and especially using either remnants or repurposing/refashioning which I do a lot of (and which I must blog shortly). I also like it because being slightly larger than average I often don't feel comfortable in prints even though I like them. I often see larger ladies in great prints but it just doesn't seem to work for me. Mixing fabrics lets me use prints without having to go fullblown with them. And wait till you see what I'm making for this challenge next month – it uses three fabrics. Love your top..you did a good job fixing your mistake and came up with a really pretty/good wearing top..
Fab top and a great save. Love the fabric. Thanks Sarah Liz, you are right the fabric is beautiful in 'real life'. I really like quite simple designs but made in lovely fabric. I can picture the 3 fabrics in my minds eye – now I just need to make it a reality. Thanks Judith. As they say 'necessity is the mother of invention' – I simply didn't have enough of the fabric to make the whole top, hence the fabric mixing. If you do decide to give it a go let us all know how you get on. Cheers BeaJay. You'll be seeing quite a bit more of similar fabrics – I love them. lovely top, your idea for mixing fabric is great, I wish I had the nerve to do it. Can't wait to see your 3 fabric make! Your top is very lovely on you! The colors are beautiful. Very nice job figuring it all out! Your top has an interesting flare. You also shared some interesting techniques. 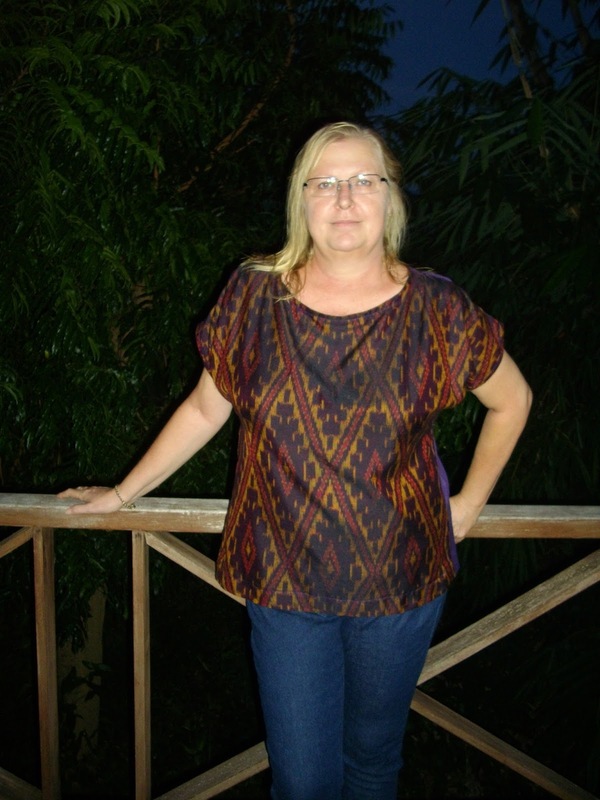 Thanks Jolanda, If you do want to give mixing fabric a try just look through your remnants. I bet you have some great fabric but not enough for a complete garment. Suddenly fabric mixing won't seem so difficult. Thanks and I am actually pleased with the resulting flare.